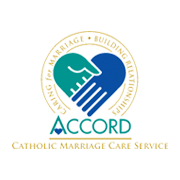 Established in Ireland in the early 1960s ACCORD expanded to become a nationwide service. We now have 59 centres across Ireland. Our people are selected for their unique qualities of warmth and care, and also for their experience in the day to day living of their own couple relationships. They are trained to the highest standard and offer their services on a largely voluntary basis.